ABB has been selected to supply its DC fast charging stations as part of an ambitious electric vehicle (EV) infrastructure initiative in Singapore to accelerate the adoption of EV in the city-state. SP Group has selected the chargers, which can recharge EV batteries in about 30 minutes, as part of its deployment of 500 EV charging points across Singapore by 2020. SP Group, a leading energy utilities company in the Asia Pacific, announced in June 2018 it is building Singapore’s largest public charging network, an important milestone for the development of e-mobility for the nation. It plugs a critical gap in the adoption of EVs and empowers citizens to embrace greener mobility options. ABB has already supplied one DC fast charger to SP Group as a prototype and will deliver the first 15 for the project in October 2018. 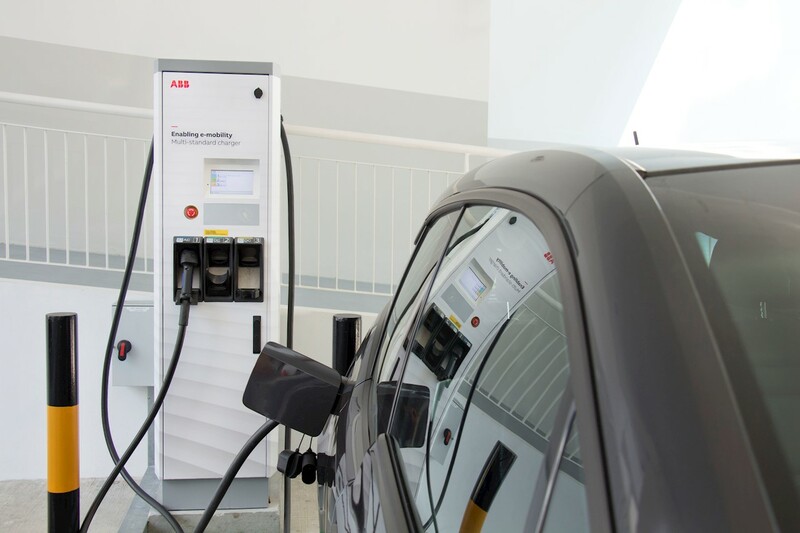 As part of SP Group’s efforts to drive e-mobility to the next level in Singapore, ABB was selected as one of the key suppliers focusing on high-powered charging stations. ABB’s DC charging stations are able to offer fast, convenient and reliable service with convenience akin to a fuel station experience. More than 100 of the 500 points on the SP network will be of the fast-charging type, making this by far the largest DC charging network in Singapore. ABB will supply SP with DC charging points with a 50 kilowatt power rating that can fully charge an EV in as little as 30 minutes. "We are proud to expand our long-established partnership with the SP Group to support a nation-wide EV charging network across Singapore," said Johan de Villiers, Managing Director, ABB in Singapore and South-East Asia. "ABB’s technologies will not only support this landmark project but also serve the nation’s efforts to reduce its carbon footprint and lay the foundation for sustainable mobility, one of the key initiatives of the country’s Smart Nation vision. “The ABB team has extensive experience, working with all types of projects, from small roadside installations to innovative nation-wide fast charging systems, such as those in development with Electrify America and across Europe with IONITY. It is this depth of knowledge and the ability to work closely with our customers that has enabled us to develop a range of future proof and connected solutions for environmentally friendly transport systems,” said Sami Raitakoski, Head of ABB’s Electrification Products division for Asia-Pacific region. Earlier this year, ABB underlined its leading role in sustainable mobility by partnering with Volvo Buses and Nanyang Technological University (NTU) in Singapore to provide its state-of-the-art Heavy Vehicle Chargers (HVC) 300P for a forthcoming project to deliver two autonomous driving electric buses for the island by the beginning of 2019. ABB’s product portfolio includes charging technologies for electric cars, buses and trucks, as well as solutions for the electrification of ships, railways and cable cars. And with more than 8,000 DC fast charging stations installed across 68 countries, ABB is the global leader in connected DC fast charging technology. ABB (ABBN: SIX Swiss Ex) is a pioneering technology leader in power grids, electrification products, industrial automation and robotics and motion, serving customers in utilities, industry and transport & infrastructure globally. Continuing a history of innovation spanning more than 130 years, ABB today is writing the future of industrial digitalization with two clear value propositions: bringing electricity from any power plant to any plug and automating industries from natural resources to finished products. As title partner of Formula E, the fully electric international FIA motorsport class, ABB is pushing the boundaries of e-mobility to contribute to a sustainable future. ABB operates in more than 100 countries with about 147,000 employees. www.abb.com.